It is no new news that Archana Puran Singh replaced Navjot Singh Sidhu on The Kapil Sharma Show as a judge. Well, recently Archana made a big revelation on the comedy show and we cannot ignore the fact that pay disparity is still a legit figure in Indian TV industry. The experienced comedian-actress publicized that she gets half the salary paid to Navjot Singh Sidhu for the show. Here's how the revelation came. John Abraham along with Mouni Roy had come to The Kapil Sharma Show to promote their latest movie RAW and Kapil asked the actors who would they want to become if given the power of a shape-shifting snake. While Mouni said she would like to step into the shoes of iconic British actress Audrey Hepburn, John Abraham clearly awestruck with the comedian's sense of humor said he wanted to become Kapil Sharma. When Archana's turn came, she said she wanted to be Navjot Singh Sindhu for the simple reason that he took home double the salary than her. Well, it is so clear that the pay disparity is a huge deal in Indian TV too along with Indian Films. It should be refurbished and the pay changes to the current situation should be modified for better non-baised entertainment business. Guess Who's Replacing Sidhu on the Kapil Sharma Show? Navjot Singh Sidhu Lands the Kapil Sharma Show in Trouble! 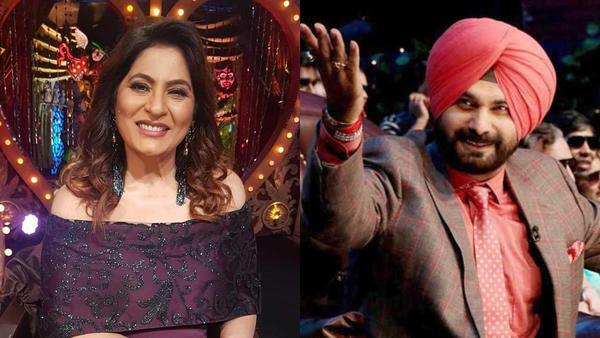 The Kapil Sharma Show: Navjot Singh Sidhu sacked post Pulwama attack comment; replaced by this Bollywood actress?